Christian Bugislaus Carstens, Marketing Manager for BLIP Systems, explains how passengers’ phones can help create seamless airport experiences. How is flow-measurement data captured from passenger mobile device movements, and what is it used for? Handling passenger flow smoothly and efficiently is key to the success of an airport and its image. To understand and improve individual areas of airport operations, it is important to understand that each area influences another, and that the traveller’s journey is seen as a single process, rather than as a string of isolated events. With sensors that measure the movement of passengers’ mobile devices, airports can generate a cohesive end-to-end passenger experience picture, including accurately measuring and predicting wait times, while simultaneously providing data about how passengers move and use the airport. 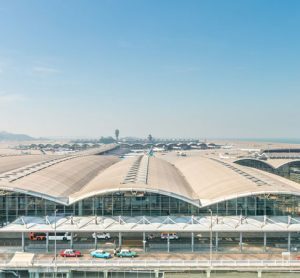 Airports can retrieve both live and historical data about specific patterns, such as entrance and exit usage, walking routes and time spent in various areas, such as security, retail, lounges, gates and more. The patterns can be averaged over a day, a week, a month, as well as a specific time of day, a specific holiday, etc. This enhances an understanding of how disruptions or changes affect standard behaviour, and enables the airport to add value to existing facilities and new investments to unlock new business opportunities. How is the data collated? Any combination of data can be extracted for measurement, both real-time and historically, to provide the desired output. The statistical combinations can be as generalised or as precise as airport management wishes it to be for review and optimisation. How does the technology behind all this work? As sensors detect mobile devices as they pass, specific and accurate statistical information, such as travel times, dwell times and movement patterns become available. To evaluate or challenge key performance indicators, to comply with service-level agreements, it is important to measure queue- and dwell-times. This provides airports with resource effectiveness visibility for greater processing efficiency. As the solution measures passenger flow in real-time, it provides early warning when predefined thresholds are exceeded. 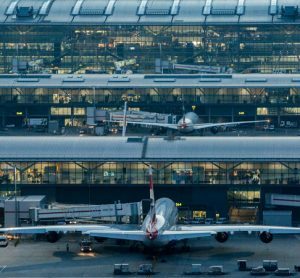 This enables airports to proactively initiate countermeasures before the situation escalates, for instance by opening additional processing lines. Airports can also put queues in perspective by displaying wait times on screens at passenger processing areas. The helps reduce passenger frustration, by creating realistic wait-time expectations. Furthermore, documenting movement patterns is crucial for greater efficiency when planning new construction initiatives and for optimising the position of signage, processes, retail outlets, services, and general layout, to improve the retail tenancy mix and more. By adding third-party data sources, such as flight information and passenger data, airports can forecast passenger volume and show-up profiles generated per weekday, carrier, flight type, etc. This allows airports to simulate the consequences of changing production capacity, to automatically scale staffing resources with passenger demand, both on the fly and for days, weeks and months to come, without affecting KPIs. The less time passengers spend in airport processes, the more they will enjoy a more stress-free and pleasant travel experience in the concession area, directly increasing non-aviation revenue. 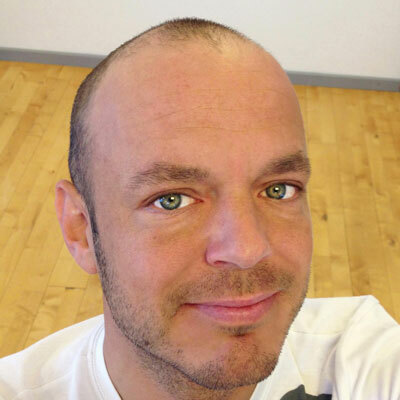 Christian Bugislaus Carstens is a marketing professional with an extensive background in all modern forms of marketing and brand building activities – both offline and online. He has an in-depth knowledge, experience and profound interest in content and digital marketing, copywriting, graphic design, advertising, communication and social media. He has been responsible for expanding the knowledge of BLIP Systems and the BlipTrack solution since 2012.